In my last post I mentioned that I had spent a few days in hospital but was happily discharged on Christmas Eve! It was a wonderful Christmas present! Unfortunately it was short lived and just a few days later I took another turn and ended up back again on January 1st with the threat of emergency surgery being mentioned far too frequently. Happy New Year to me! I'm still here today bringing my total days in hospital into almost double digits with no talk of getting out yet (although I'm hopeful!) but I'm feeling super guilty about not blogging. 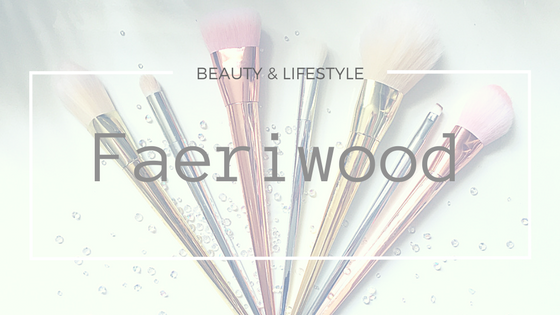 I know it sounds silly but I love my little ramblings here and showing off the products I'm using or the places I'm going. 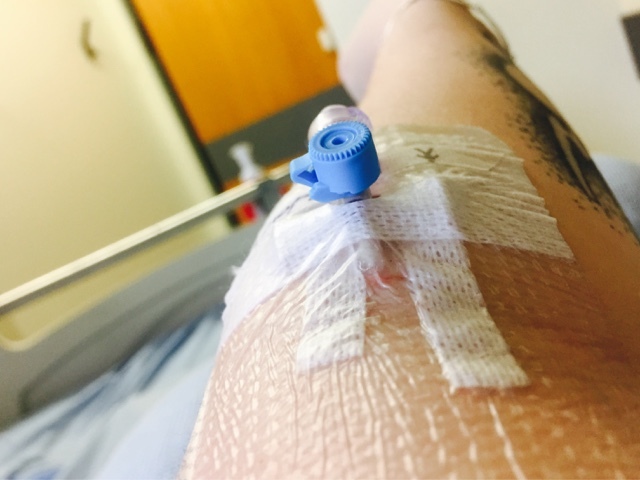 There's really not much I can write about lying in bed all day being poked and prodded and having tubes shoved in places that there should never be tubes. NEVER. And the food? 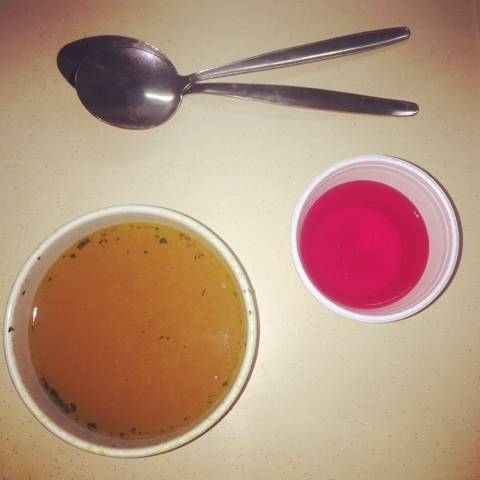 Well I've been nil by mouth pretty much the whole time but when I'm not fasting lets just say it's been less than wonderful. Anyway I have thought about writing a few thoughts on the products my mum has brought from my flat. Thankfully I had my Marks & Spencer's Advent goodies all easily laid out so she was able to kit me out with a few essentials to keep me human. 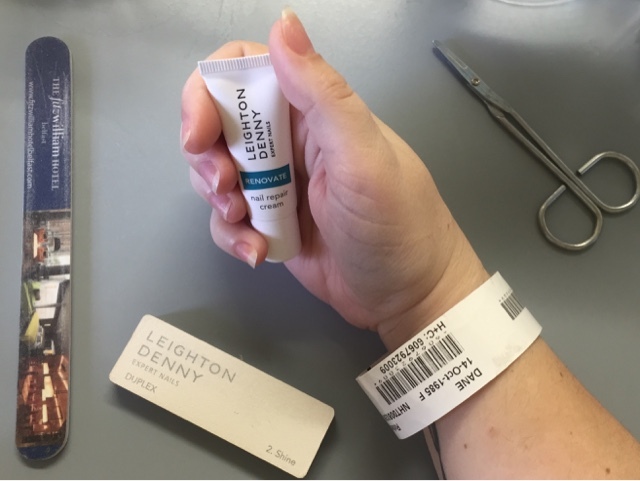 Special mention to Leighton Denny Renovate Nail Repair Cream. It has saved what is left of my stressed and chewed out nails. I've also had a play with my Filorga Time-Filler, Rodial Dragon's Blood Sculpting Gel and the REN Flash Rinse 1 Minute Facial. I wouldn't offer any major opinions on them right now because let's face it these are not normal circumstances and I'm just doing everything I can to try and keep my skin conditioned without really paying attention to the finer details. I'm sure that will come later. As with most products I mention but haven't thoroughly tested, if you never hear me talk about them again then I really have nothing positive to say about them. Anyhoo I think it's almost time for my next batch of IV antibiotics and for me to stop rambling on. I really hope the next time you hear from me it's with better news and, more importantly, better content! "Brand New Mint In Box"